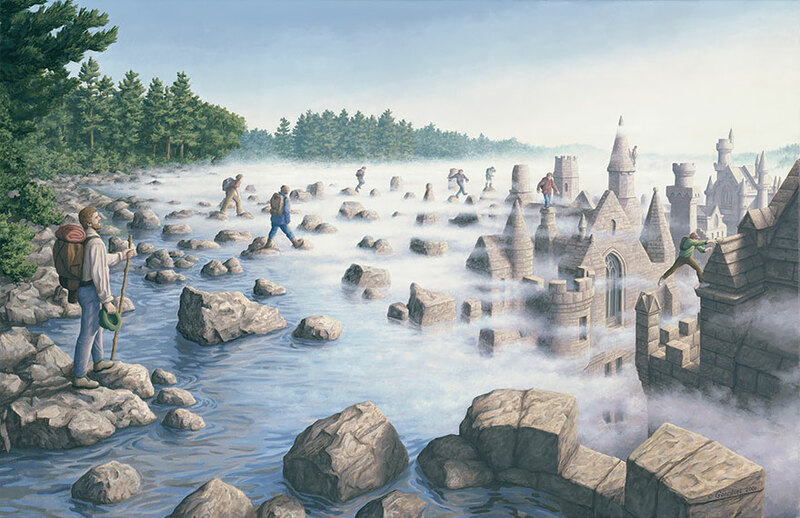 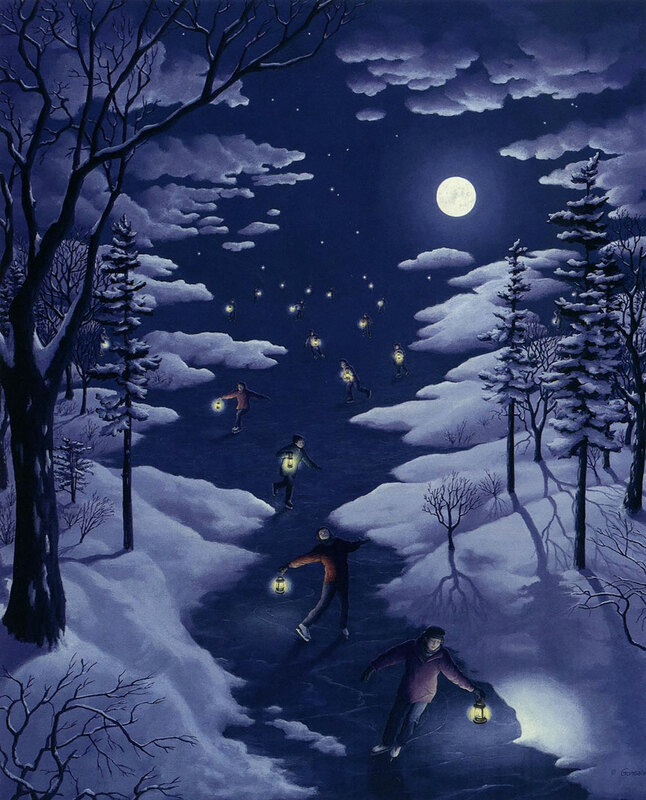 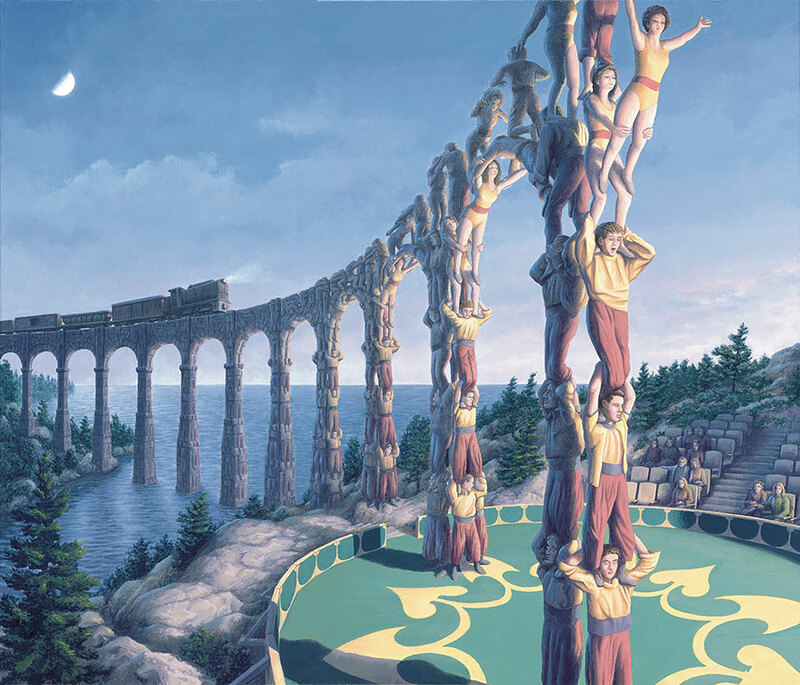 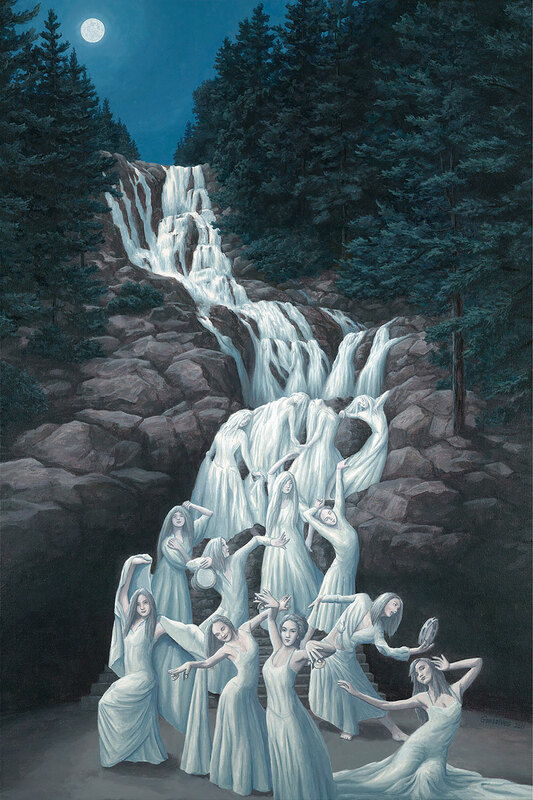 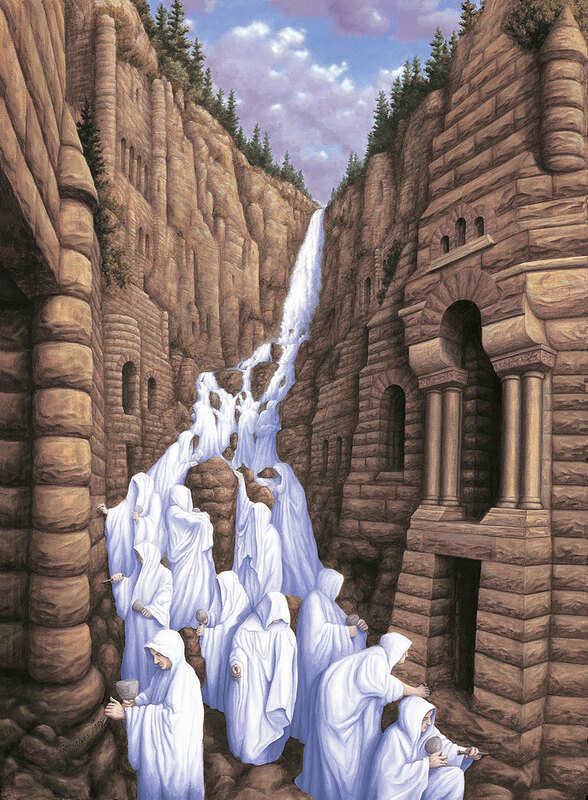 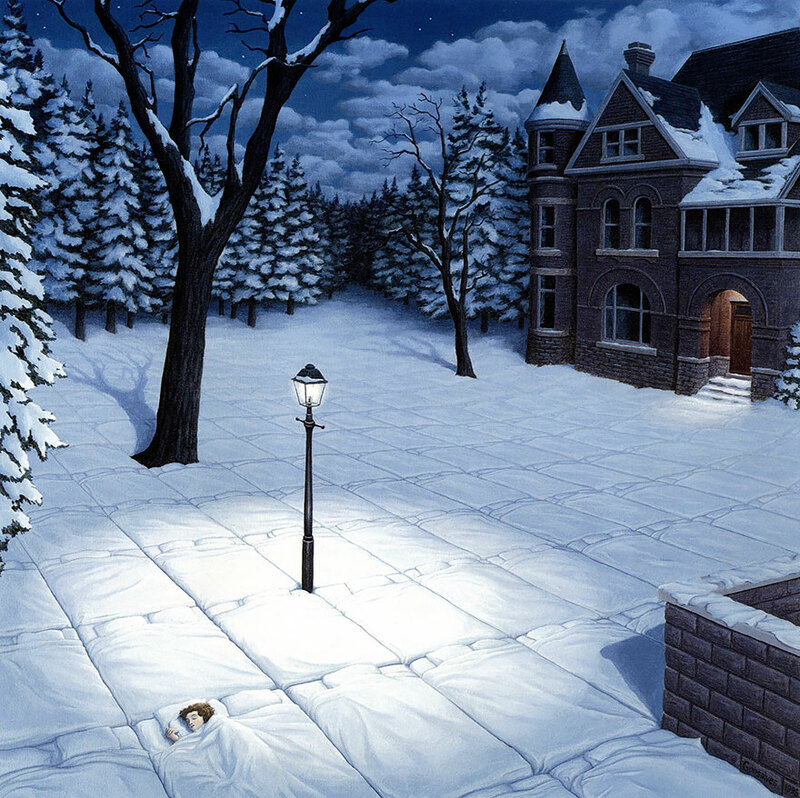 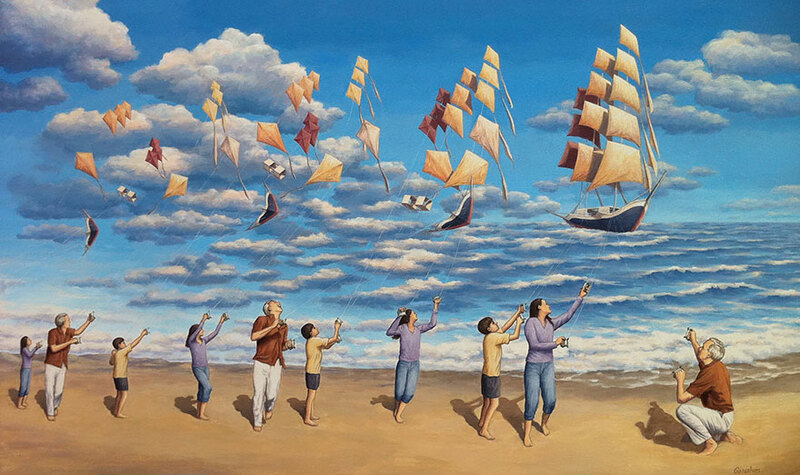 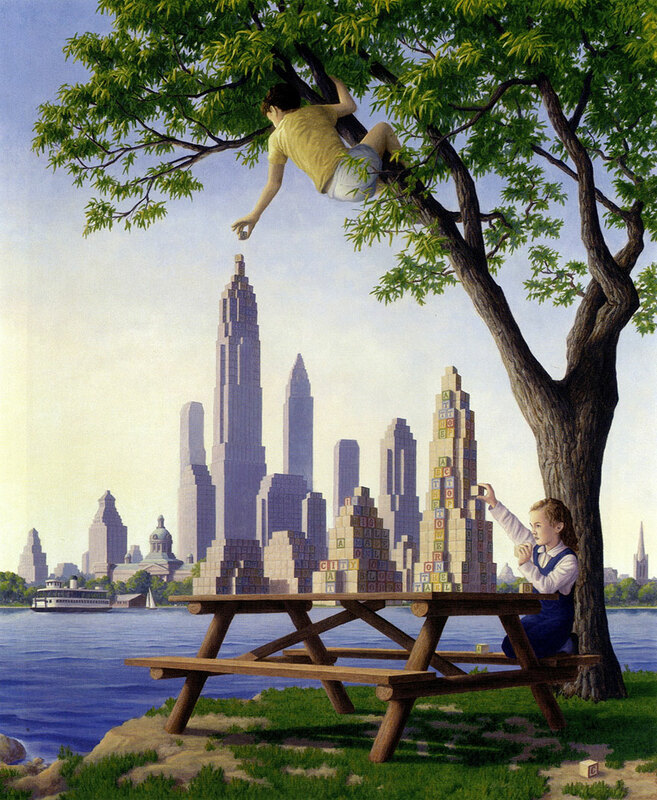 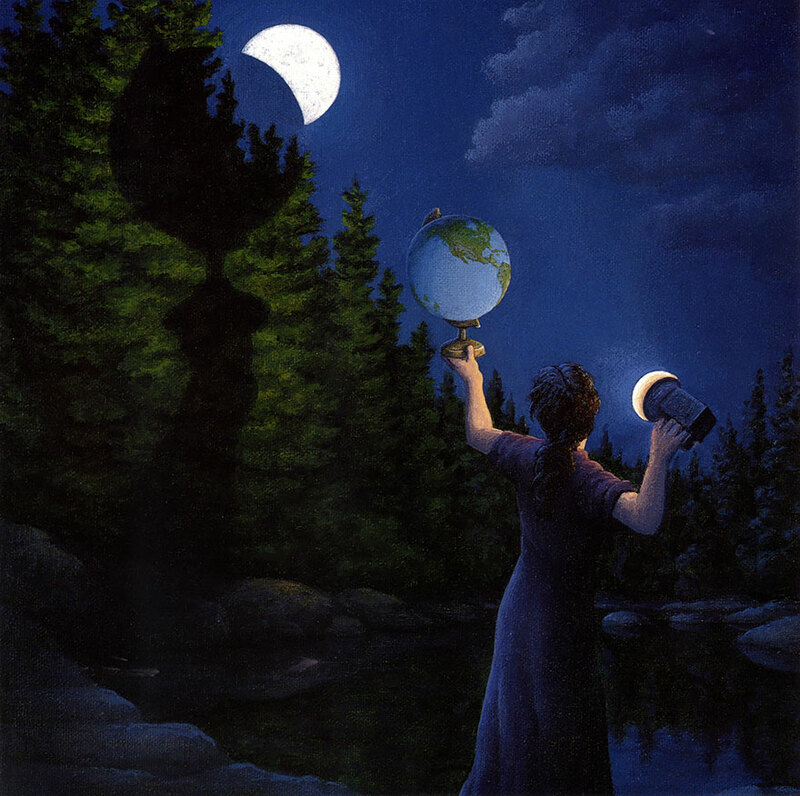 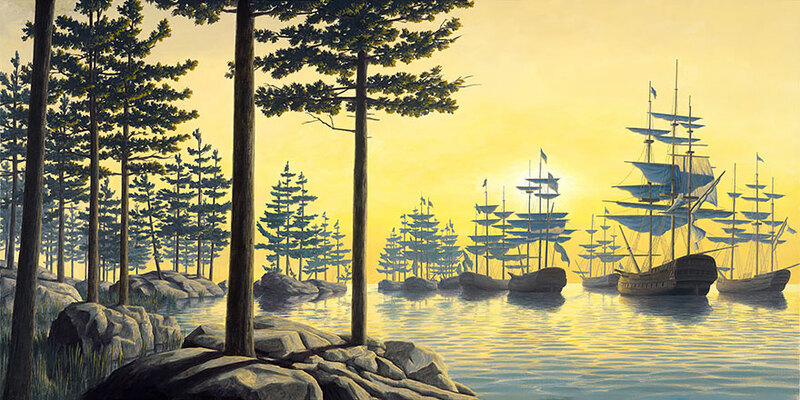 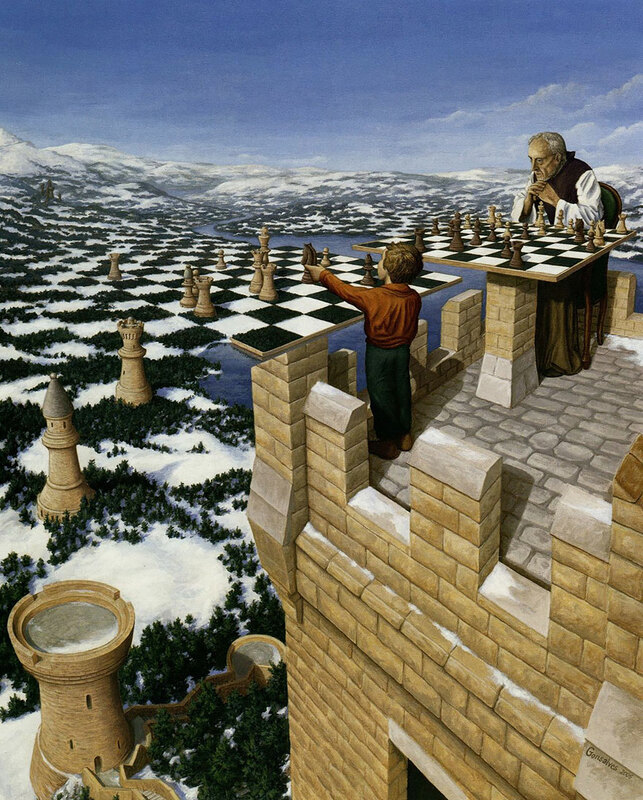 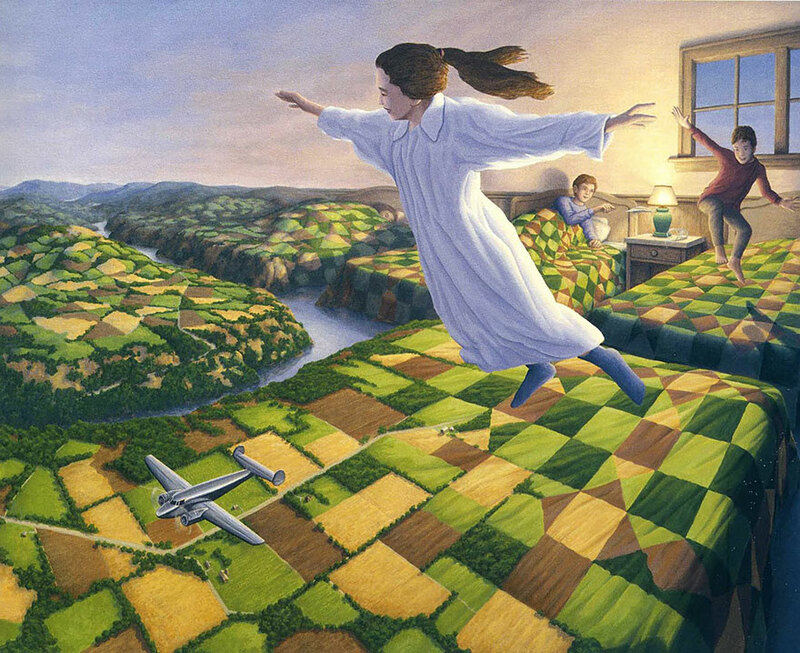 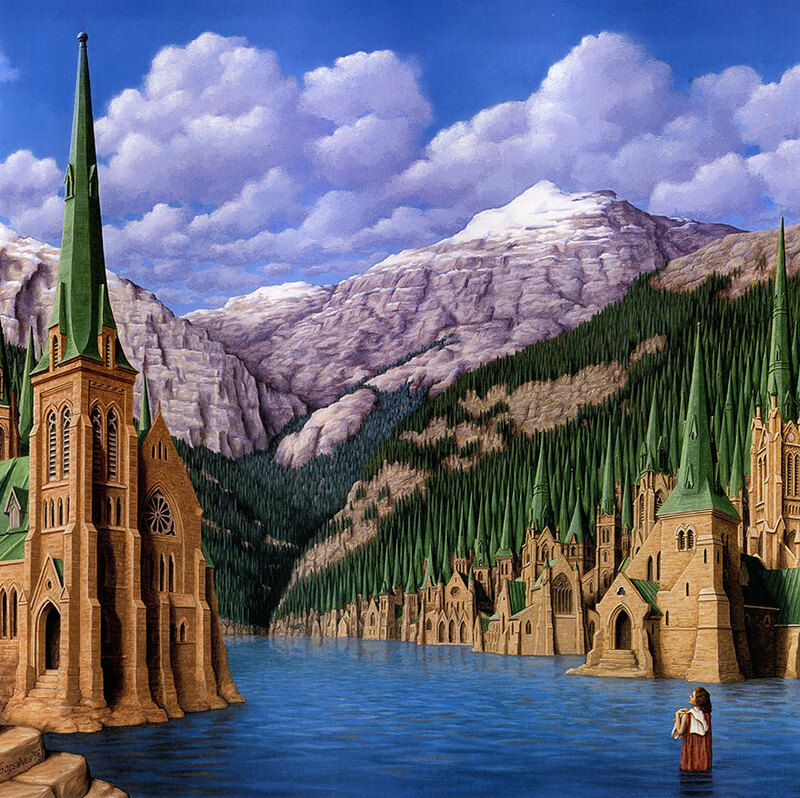 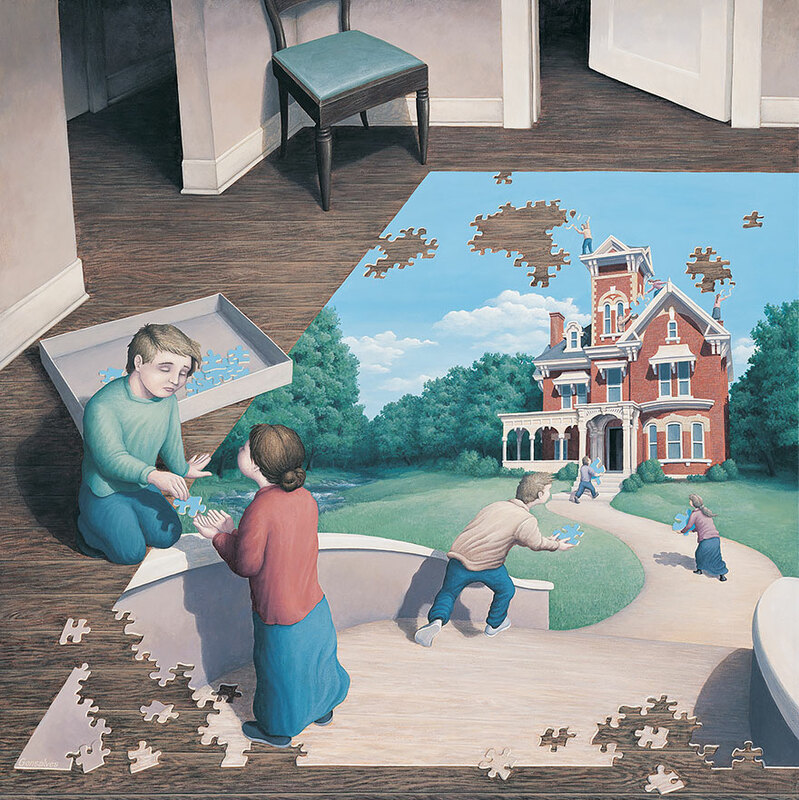 Robert Gonsalves, a Canadian artist, is well known for his magical and mind-blowing paintings which have stormed your mind asking the meaning of the painting and questioning whether it is real or not. 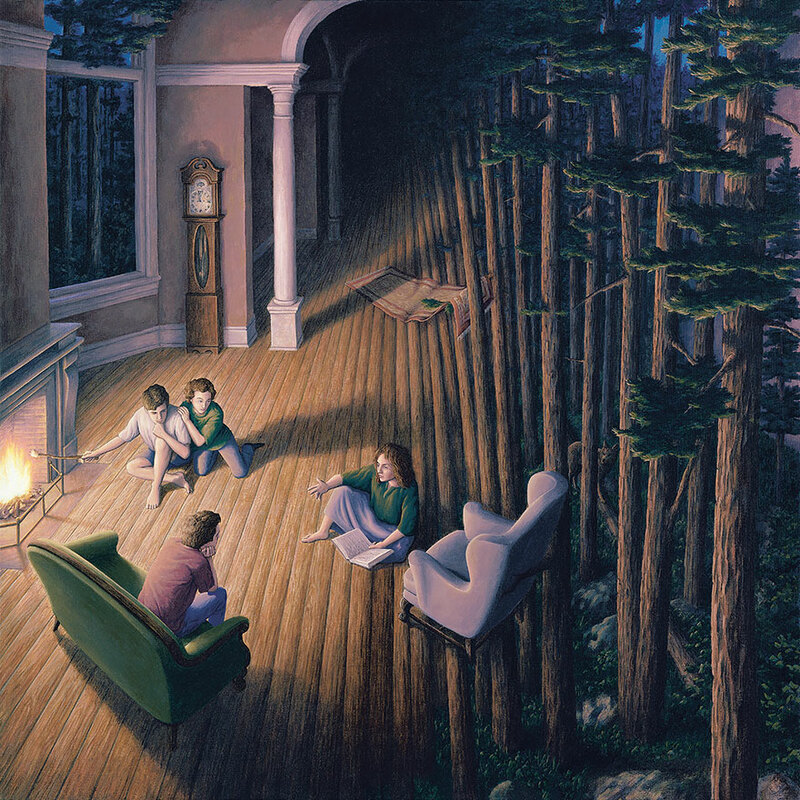 Most of his amazing painting have stories to tell and all those stories are not very clear. 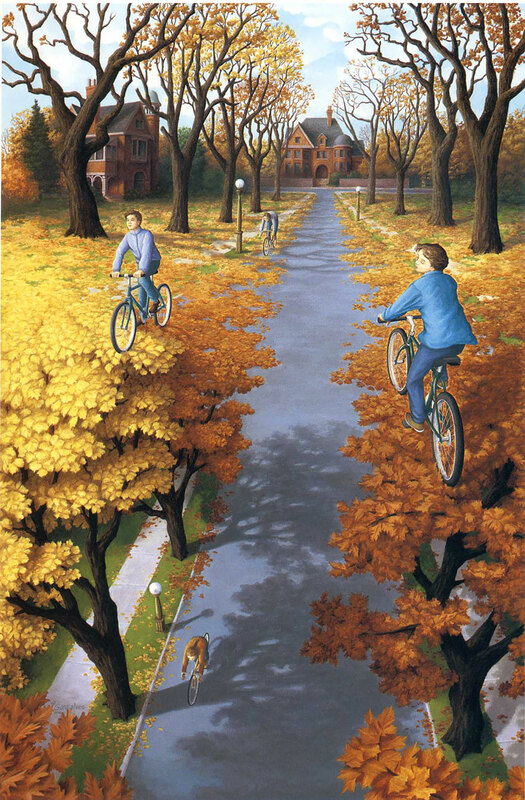 You will be not ascertained about the meaning and will be lost at some point on the way while understanding the painting. 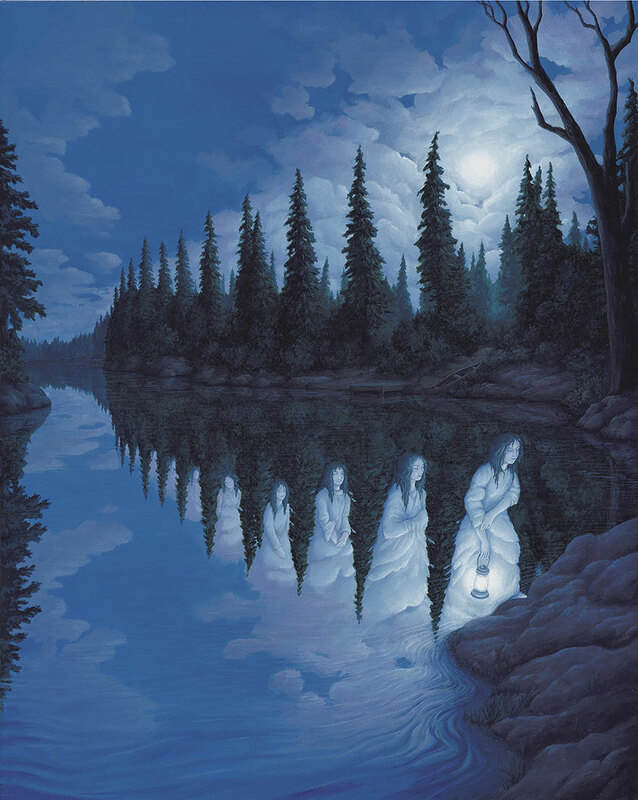 Like an optical illusion, you will see the painting in a different angle every time you look at it. 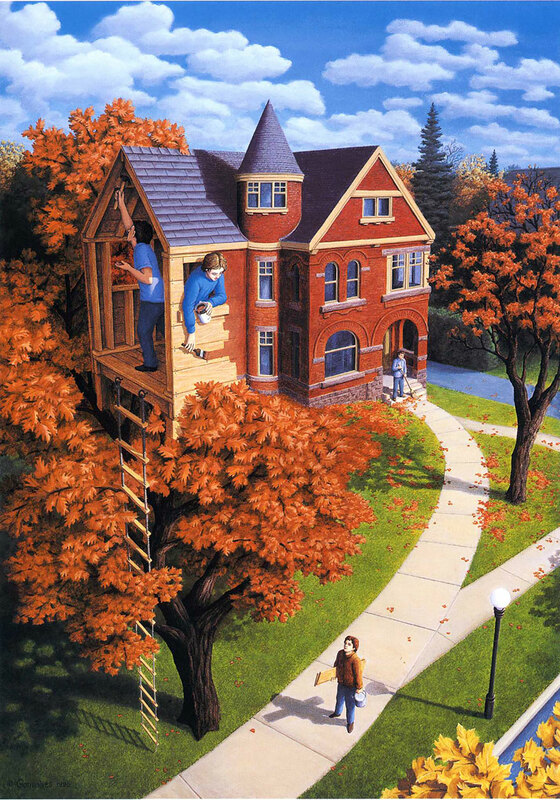 From a very young age Robert was fond of art and with so much of experience, he was able to make paintings with complexity which always led people lost and misdirect every time they look at those. 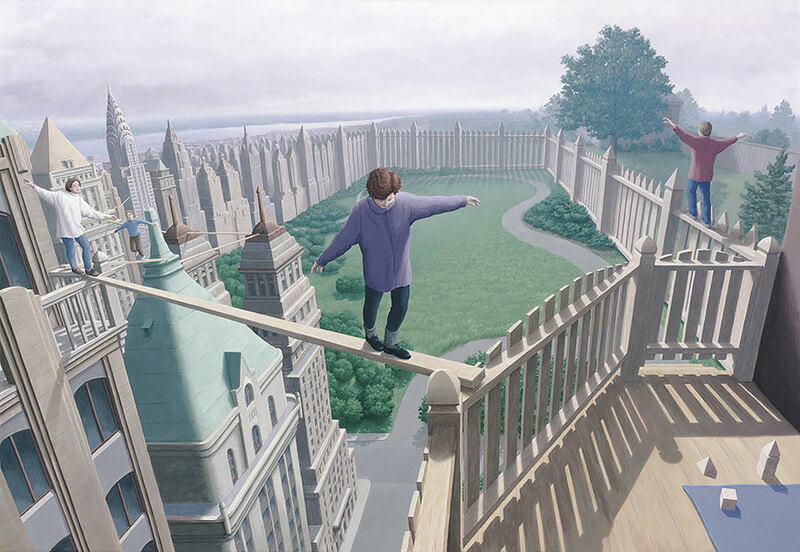 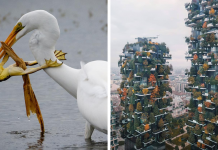 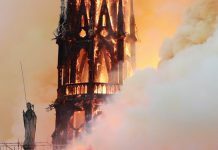 He was able to master with technique, perspective and architectural art at the age of 12. 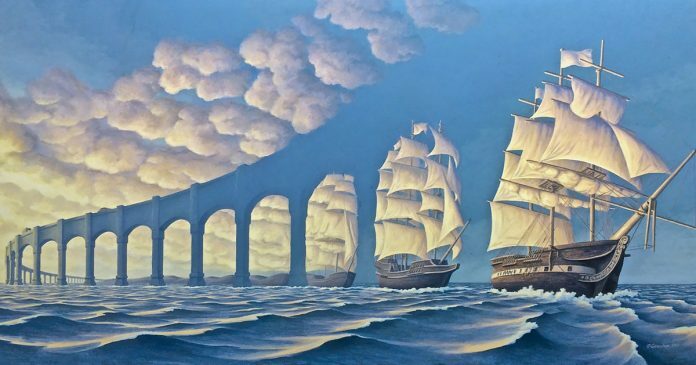 He was able to create more advanced paintings after he met and gained experiences from Salvador Dali and Rene Magritte. 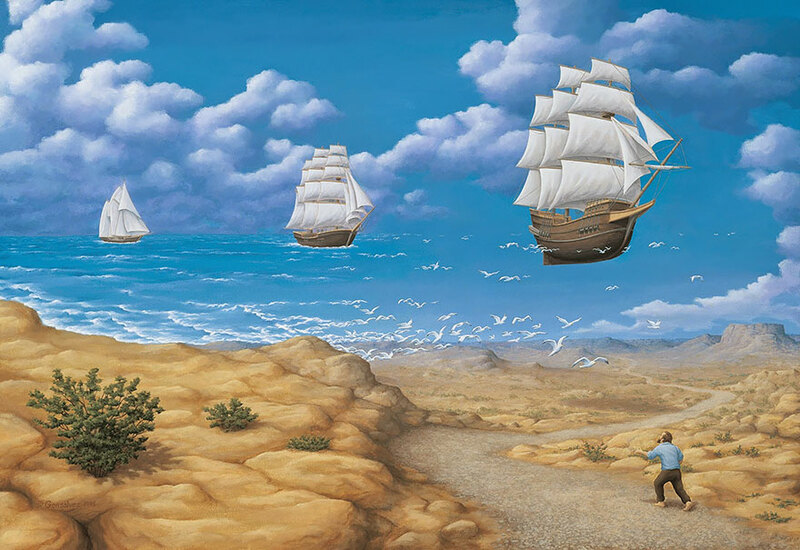 Please see below amazing paintings which will make you lost in time. 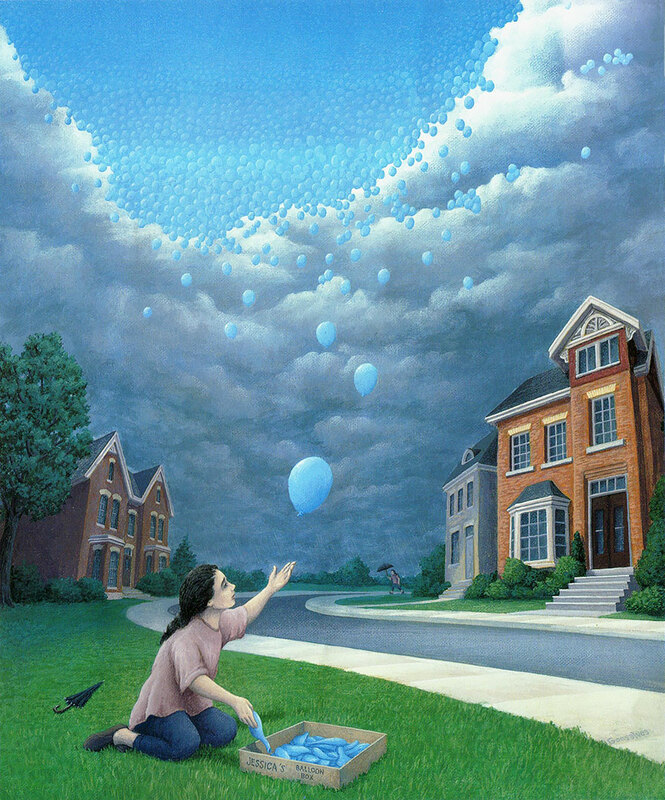 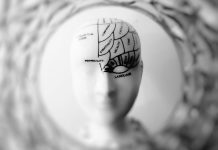 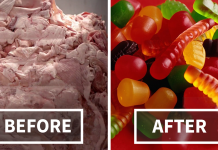 Do not forget to leave your experience in the comment section. 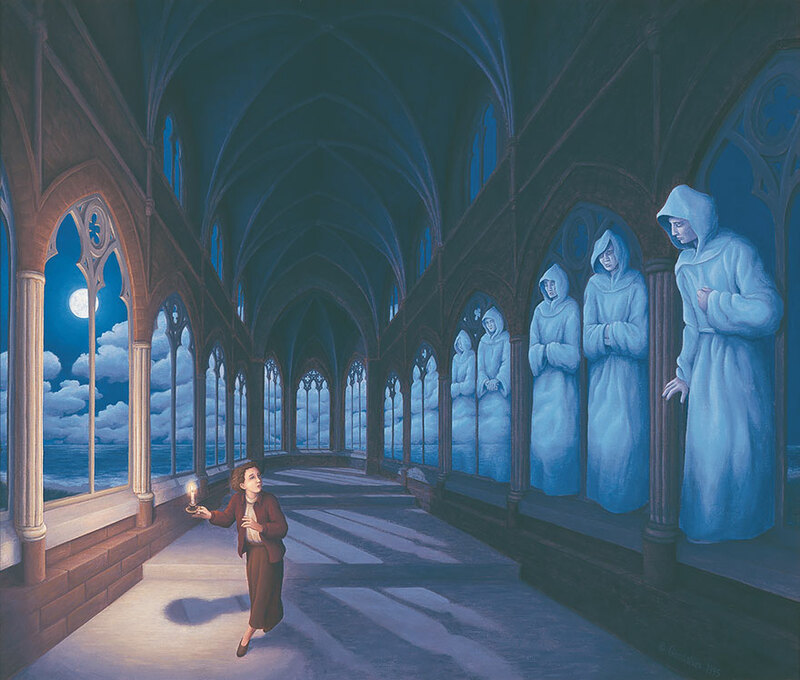 I perceive transformation of varying degrees in each painting. 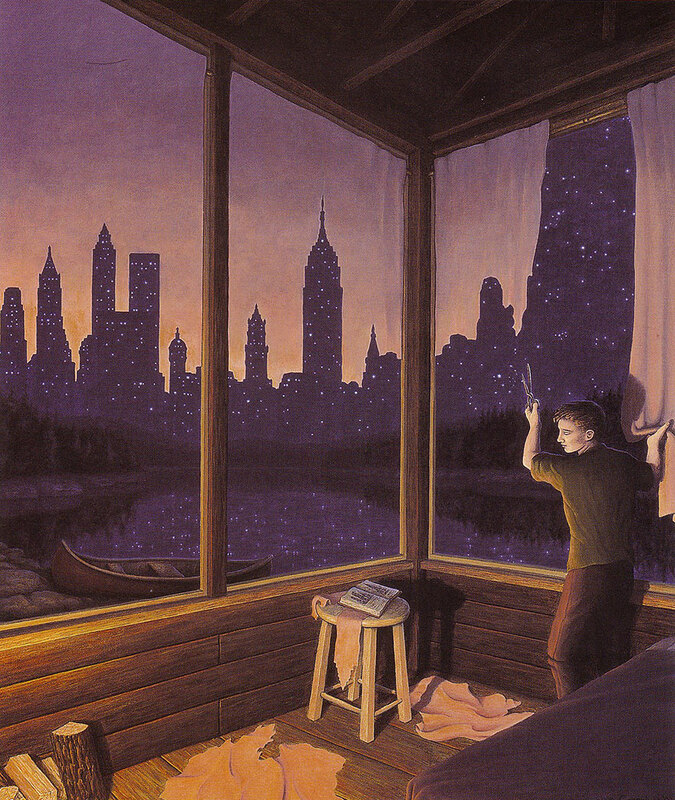 Maybe that will change with each viewing as perceptions often do. 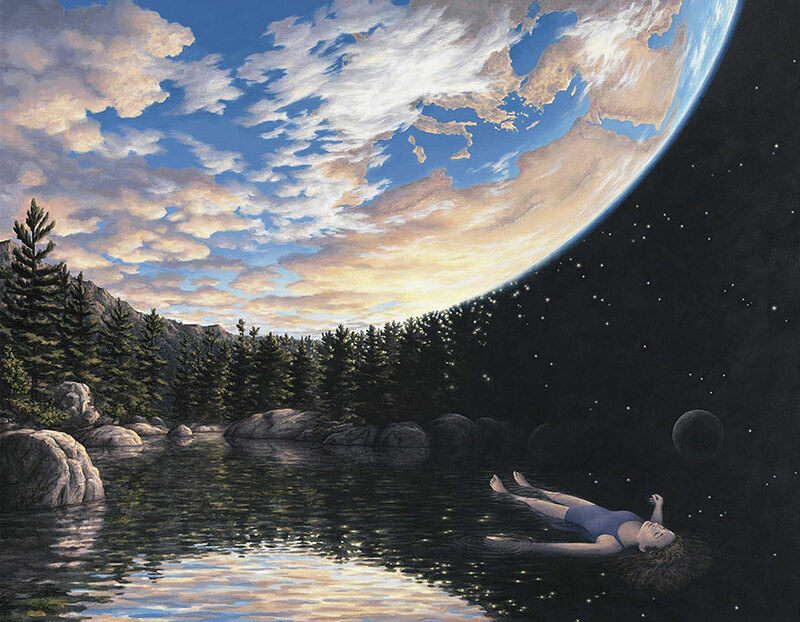 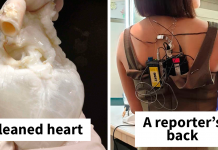 Very intriguing to say the least.